Greece or Croatia: which country is more expensive? This comparison of travel costs between Croatia and Greece examines average prices across multiple categories. Please visit each country's individual budget page for more detailed information. Should you visit Greece or Croatia? Greece has long been a popular travel destination in Europe, and Croatia increasingly is becoming one of the more popular countries to visit in the region. Each country has a lot to offer visitors, from beautiful coastlines to fascinating histories. Greece's capital, Athens, is a great place to spend time, particularly if you're a history buff. The Greek Isles are world famous, but so is Dubrovnik, the coastal town and top tourist destination in Croatia. In general, Greece is more expensive than Croatia. Greece's popularity with tourists and its use of the euro mean that costs are comparable to other Western European countries. Croatia remains more affordable, but with its growing popularity comes an increasing price tag, particularly in towns like Dubrovnik where accommodation in a prime location in the city's old town can come at a premium. Still, costs in Croatia are relatively low when compared to Greece. When is the best time to visit Greece and Croatia? Like much of Mediterranean Europe, both Croatia and Greece are best visited during the late spring/early summer and fall months. If you time your travels well, you can avoid the peak season travel costs and the crowds that flood the area during the summer months. Temperatures are also cooler during these times making the experience more enjoyable. During the winter months Greece can be a bit difficult to visit because there are far less ferries traveling between islands and many restaurants and hotels close for the season. Also take note that hotels can fill up quickly during the week of Easter, particularly in and around Athens. Hotels and restaurants in Croatia also tend to close their doors for the winter months so it is best to avoid these times. Why is Greece more expensive than Croatia? Greece has long been an established tourist destination in Europe. It's popularity and use of the euro make it comparable in price to other European countries. Most visitors also use ferries to reach the Greek Isles, which can be expensive. Accommodation prices, while less than some countries in Europe, is still expensive when compared to Croatia. Croatia has become a popular tourist destination, but it is only in recent years that the popularity has begun to effect prices. 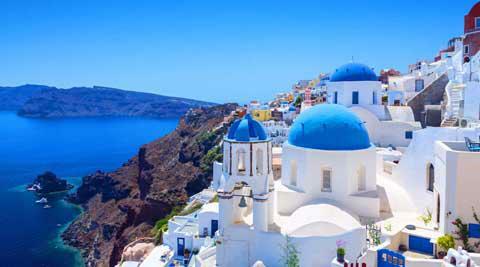 Greece remains a popular destination for cruise ships as well, which drives up the prices of restaurants and shopping. While cruises do visit the Croatian coast, it is not to the same extent as those in Greece and the influence on prices is still less. What are the most expensive and cheapest cities and regions in Greece and Croatia? 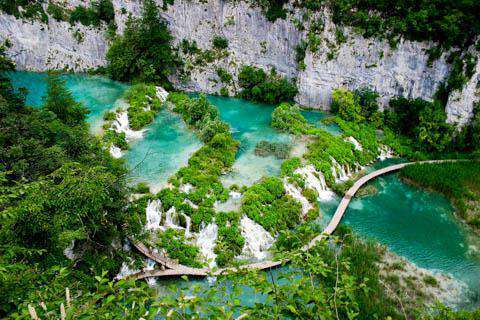 Croatia has several popular destinations, with the most famous being Dubrovnik. Dubrovnik is one of the more expensive places to visit in the country in part because of the limited number of places to stay within the Old Town. Dubrovnik has also grown into a popular port for cruise ships, which has impacted the prices in the area. How you can save money when visiting Greece and Croatia? Travel during the shoulder seasons of fall and spring. Prices in both Greece and Croatia are heavily impacted by the season, so choose your timing wisely if you want to get the most bang for you buck. Prices inevitably climb during the peak summer months, temperatures can become uncomfortably hot, and crowds are at their peak. Stay with a local. It's possible in some places to rent a room in someone's home. This can be a fun and interesting way to experience the country so research your options in advance.